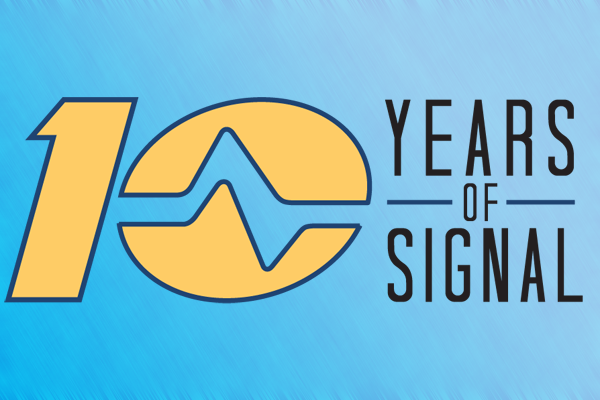 We’ve been celebrating all year… but today marks our “official” 10th anniversary. It’s been 10 great years serving you and we’re just getting started! From day one, Solid Signal has been helping customers find products to solve problems and enhance technology, This philosophy and a focus on personalized advice and service has allowed for our fast growth. Since 2002 we’ve brought you the best equipment for DIRECTV, DISH, and off-air antenna hobbyists, and we’ve expanded into so many other markets: commercial equipment, marine supplies, and home security just to name a few! Above all, we know we have you, our customers, to thank. Every single member of the team is here every day for one reason: to take care of you. We, and our families, thank you for 10 years of the best job ever, playing with the coolest toys and helping you turn you make your dreams of a better home, office, or commercial property come true! We look forward to 10 more years, and 10 more after that!